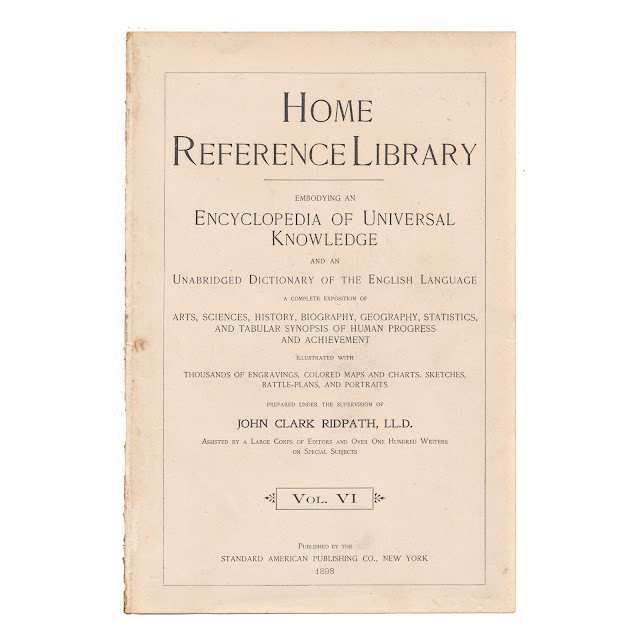 This antique print measures 6.75 x 11 inches and comes from a disbound copy of "The Home Reference Library: Embodying an Encyclopedia of Universal Knowledge." 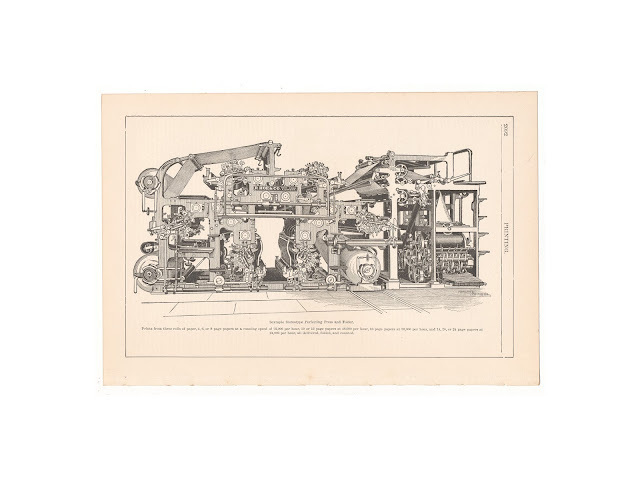 The volume was published in 1898 by the Standard American Publishing company and was edited by John Clark Ridpath. 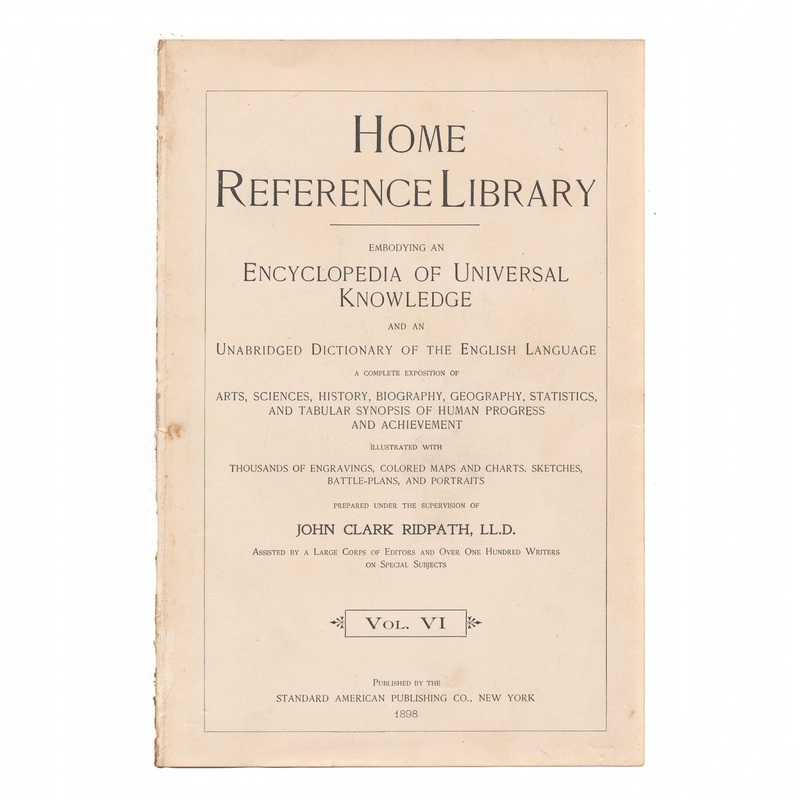 Image of the title page is presented for reference and is not included in the sale. The print features an illustration of the Sextuple Stereotype Perfecting Press and Folder. Paper is generally clean and crisp with little wear, but shows some browning. Shows rough edge from where it was bound into the book.